The Coolfast Mini-Waffle-Polo for Adults is composed entirely of yarn that is enhanced with fibers specially engineered to manage and extinguish the presence of moisture. This 100% yarn fiber is a premium fabric, and one of the best in the Coolfast collection. 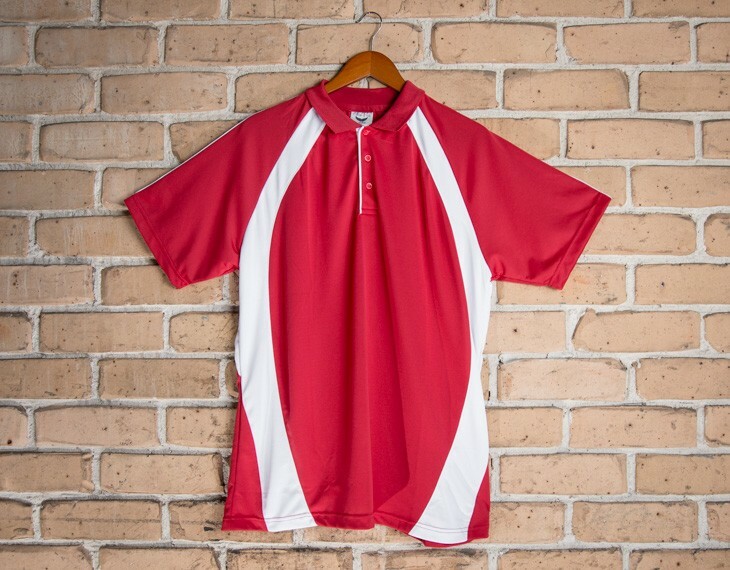 Great for sports teams as well as local clubs. It features innovative textile fibers. With contrast panels extending throughout this shirt, it certainly enlivens its appearance with a more sophisticated flare. This decoration is supplemented with a top shoulder panel, which endows this piece of attire with both a professional and athletic appeal. The price for this shirt include 1 colour print for your logo either front or back via screen printing. A print set up of $75 applies. This garment is made with: 100% Pure Polyester Cool dry Fabric | 165gsm. The fabric has a silky texture that allows you flexibility and freedom during sporting activities. This shirt is neatly constructed to suit sensitive skin, and its silky soft texture prevents skin irritation. 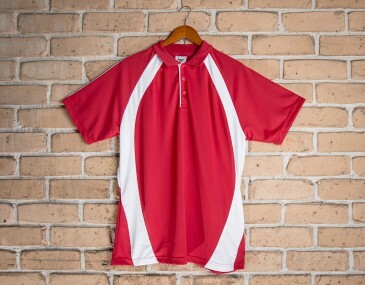 This is a premium sports polo that is offered in various color schemes. Size guide measurement: Half chest (CM): Size 6- 37.5, Size 8- 40, Size 10- 42.5, Size 12- 45, Size 14- 47.5. We deliver this product in bulk right around Australia. The minimum orders for custom branding is listed in the pricing section of this website.